3. Pocahantas was a rip-off of Avatar. …You just gotta know which came first. Arguably, John Carter laid the groundwork for 21st Century Hero Cycle based tales of science fiction and fantasy, like the Lil’ Kim of early sci-fi nostalgia that feuds with something that wouldn’t exist without the foundations laid out by said Lil’ Kim impersonation. Hopefully this film doesn’t get anywhere near that level of comparable weirdness. 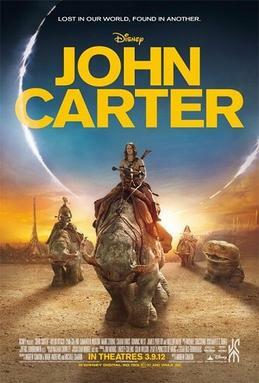 Tl;dr, this extended preview of John Carter will BLOW YOUR MIND, or at least become a serious contender for watching when it comes out March 8th. Be sure to stick around for Live Oscar Coverage by me later tonight! Well, live as in I’ll be writing all my thoughts while it takes place and THEN posting it when it’s over. Heh Heh heh.